Regeneron Pharmaceuticals (REGN) and Sanofi (SNY) imposed a first-ever price increase for Dupixent, a potential blockbuster eczema treatment, an analyst said Monday. Piper Jaffray analyst Christopher Raymond sees the opportunity for Dupixent upside in the second quarter as “substantial.” Prescription trends are up almost 30% quarter over quarter, and Regeneron/Sanofi raised the list price by 3% as of June 29. “Coupling this with bullish management commentary from our recent visit as well as encouraging dermatologist survey feedback, we think Dupixent remains well-positioned to outperform expectations this quarter and beyond,” he said in a note to clients. 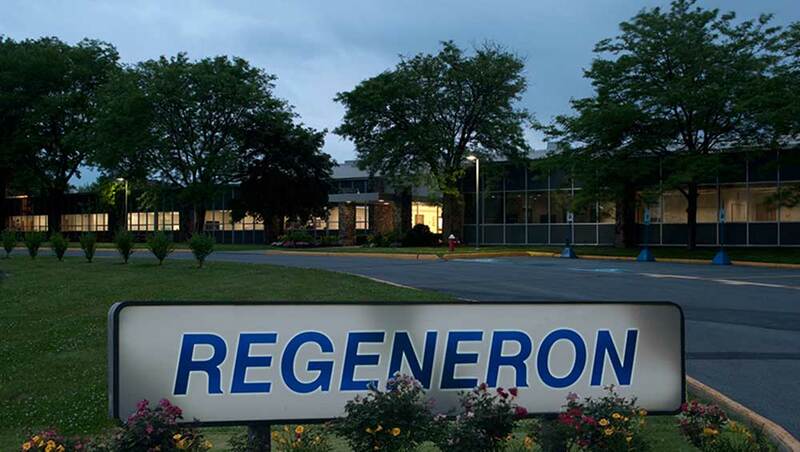 On the stock market today, Regeneron jumped 1.8%, to close at 351.14. Sanofi dipped a fraction, to 40. According to prescription tracker IQVIA, total prescriptions of the eczema treatment are now up 27.3% quarter over quarter. For the first 12 weeks of the period, new prescriptions grew 16.7% vs. the prior quarter, Raymond said. He models $193 million in worldwide second-quarter revenue from the eczema treatment. To help this, Regeneron and Sanofi just increased the list price for Dupixent, Raymond said. This is the first price increase for the eczema treatment since its launch in March 2017. Regeneron never increased the price of eye drug Eylea over seven years. But Regeneron and Sanofi added a 5.3% increase for rheumatoid arthritis drug Kevzara in May. Kevzara’s price increase makes “this Dupixent increase a little less surprising, but nonetheless a nice tail wind to start the third quarter,” he said. Together, volume and price growth bode well, Raymond said. “With some upside now on the pricing front, though we model flat net pricing, we are comfortable maintaining our worldwide 2018 Dupixent revenue estimate of $880 million, ahead of consensus $806 million,” he said.